In an era where customers have more choices, it is important to an organization to ensure maximum efficiency in its operations. A holistic view of process operations helps to facilitate any relevant process improvement efforts. In the Lean Cycle, the aim is always to flow via the relevant cycles such Plan-Do-Check and Act, in order to ensure that the organization is at its peak. Competitive advantage is always important to the thriving of an organization, and any losses in service or product delivery can and will affect final product cost and business profitability. The key to success therefore, is to minimize any wastage in the supply chain from supplier right through to customer delivery, to facilitate this objective. “Waste” is defined as material or resources in excess of customer requirements, on the path to the delivery of a product or service. Minimization of waste is critical to our overall organizational objective, and is something that all organizations are consistently striving for, along with quality improvements. Minimizing waste is directly linked to cost savings. From a service perspective, wastage could involve activities such as inappropriate service delivery and poor customer service. The ultimate result would be affected customer perspectives, and rework would be required in order to satisfy the customer. From a manufacturing perspective, re-work could involve extra raw material usage in production. For example, in the manufacture of clothing, if excess cloth is cut for a production run, the result will be extra scraps of clothing that could have been utilized for the next production batch. Regardless of the source, our ultimate aim is to minimize excess. 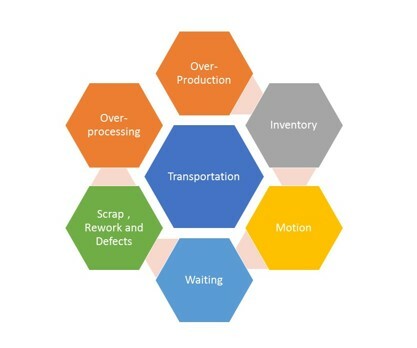 One of the tenets of Lean Manufacturing is a Just-In-Time system which facilitates the minimum inventory in an ideal theoretical operation. Over-production occurs in instances where product generation exceeds product demand. Inventory is a tally of the raw material progression through a process. The term is applicable to both services and products, as there is an item either physical or intangible that is being transformed via each stage. Motion waste is brought about due to inefficient operations. Exceeding customer expectations beyond economic feasibility is a waste. If a product does not meet customer specifications, it is either scrapped, reworked or deemed as ineffective. Minimizing the aforementioned process wastes, will enable your organization to operate from a leaner perspective, and allow for more competitive and profitable operation. One-Piece-Flow is a methodology that can be utilized to ensure that all of the aforementioned wastes are eliminated. This process involves visualizing all the unit operations of a process and identifying based on the definitions, what wastes should be eliminated per unit area. Unit operations could include: raw materials, process one, process two, process three and then the warehouse. For Raw Materials, the organization would concern themselves with ensuring that the inventory is kept in a just -in – time manner, as outlined by the definition above. Waste would be having too much raw materials on hand. Process One has its own associated operating parameters – critical conditions which much must be met. If it’s a refinery for instance, the inputs to the process much be carefully assessed, the appropriate ratios achieved, target temperatures and pressures met. All of these requirements would be supported by auxiliary maintenance systems which ensured that the equipment were performing at part. If there’s a deviation, relevant maintenance would be attended to. Malfunctioning equipment would mean adverse raw material usage. The process would repeat for processes two and three. The Warehouse would operate in a similar manner to the Raw Materials. As the tail end of the process, the management would ensure that there was an almost Just-In-Time system, with a small buffer for re-work (blending) or critical emergencies. Only the critical storage, determined by forecasting and analysis, would be kept on hand in order to minimize costs. 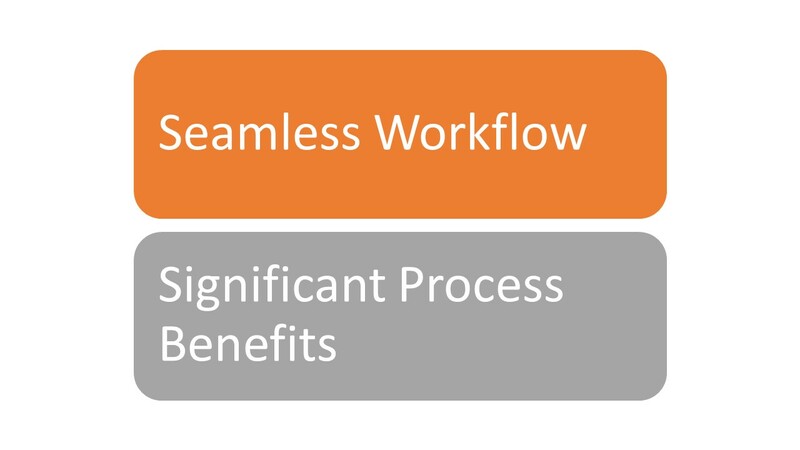 Once identified and eliminated, the savings in terms of quality improvements and cost savings gained from One-Piece-Flow to the organization will be significant. Across industries, the savings vary, but all who implemented the process were able to identify either qualitative or quantitative gains in their production operations.